Cultural life of Moscow city is various and rich! Operas, ballets, symphonic concerts... Russian composers have created some of the most beautiful classical music. Russian classical music is very popular in Moscow. It is performed in many beautiful historical venues. 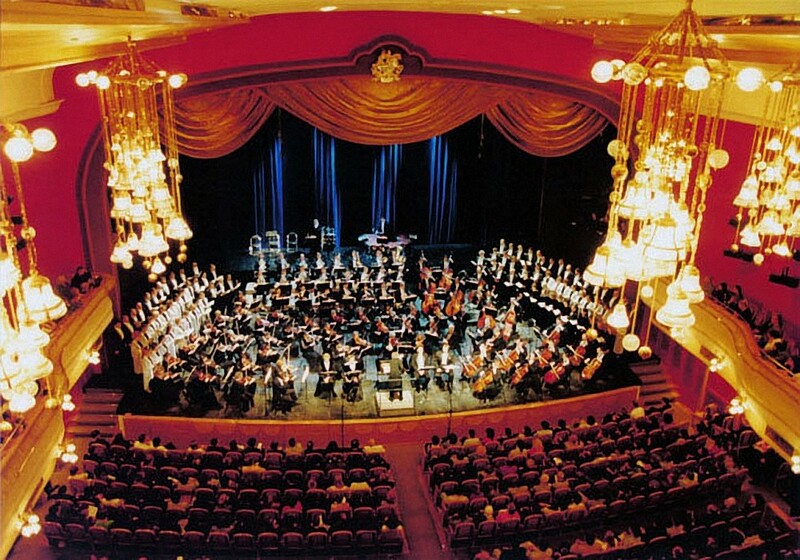 Do not forget to include a visit to a concert hall in your itinerary when you are planning your stay in Moscow! And do it in advance. There are almost no restrictions on dress code in Russian theatres. Visitors may wear jeans and sports shoes, they may have a backpack with them. Only shorts are not allowed. A typical feature of Russian theatre – visitors are bringing a lot of flowers which they present to their favorite performers after the show. Here are some practical advices where to go and how to buy tickets. The Bolshoi Theatre is the oldest, the most famous and popular opera and ballet theatre in Russia. 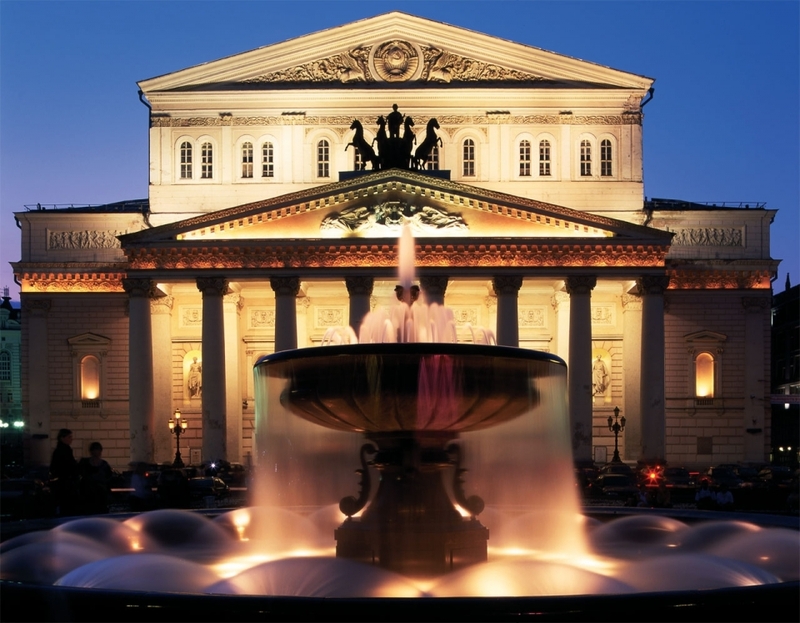 The word “Bolshoi” means “big” in Russian. You can buy a ticket online in advance, 2-3 months before the date of performance on the official website. Prices for famous ballets are high: 6-8 thousand rubles for a seat in stalls. 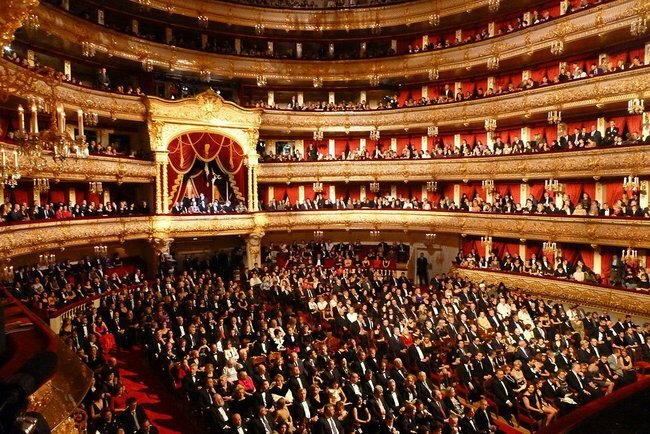 Tickets to operas are cheaper: you can get a good seat for 4-5 thousand rubles. Tickets are cheaper for daytime performances and performances on the New Stage. The New Stage is situated in the light-green building to the left of the Bolshoi's main building. The quality of operas and ballets shown on the New Stage is excellent too. However, you should pay attention that many seats of the Bolshoi’s Old and New Stages have limited visibility. If you want to see the Bolshoi’s Old Stage but all tickets are sold out, you can order a tour of the theatre. You can book such a tour on the official website. If you want, following Russian tradition, to give flowers to the performers at the end of the show, in the Bolshoi flowers should be presented via special staff who collects these flowers in advance. In August the Bolshoi is closed. This theatre is noteworthy. On one hand, it offers brilliant classical opera and ballet performances. On the other hand, it is an experimental venue for modern artists. You can check the program and buy tickets online here http://stanmus.com/. If you are opera lover, get a ticket to see superstar Hibla Gerzmava. The theatre has a very beautiful historic building and a stage with a good view from every seat. Tickets are twice cheaper than in the Bolshoi. “Novaya” means “New” in Russian. This opera house was founded in 1991 by a famous conductor Eugene Kolobov. Its repertoire has several directions: Russian and Western classics, original shows and divertissements, and operas of the 20th and 21st centuries. It is very popular with Muscovites for excellent quality of performances, a comfortable hall, a beautiful Art Nouveau building and a historic park Hermitage, which is situated right next to it. 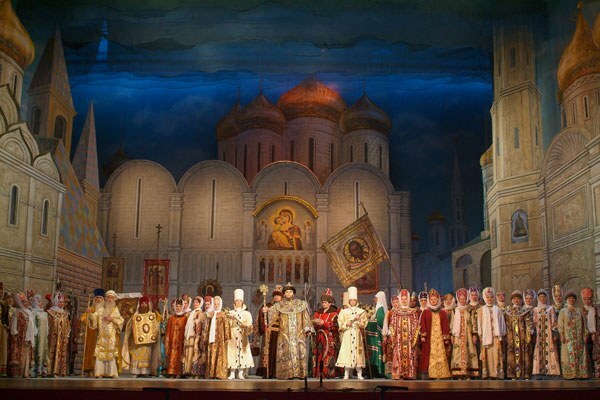 You can buy tickets online here http://www.novayaopera.ru/en. 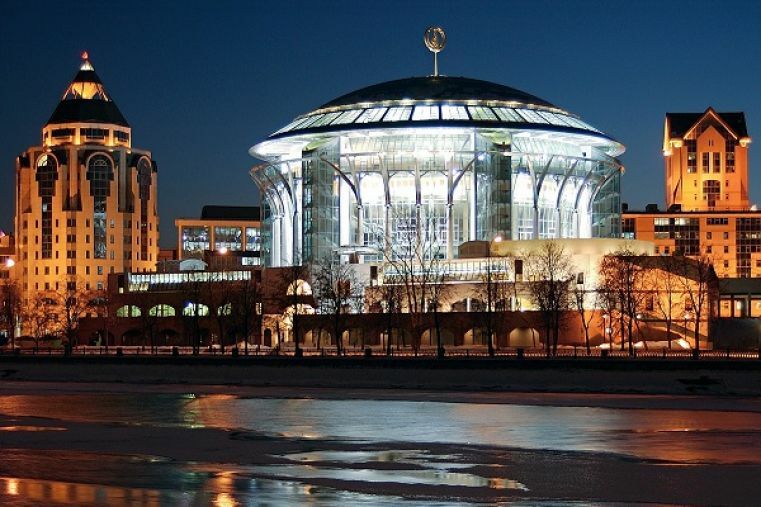 The Opera Center has become one of the best theatrical venues in Moscow. It was founded in 2002 by great diva Galina Vishnevskaya. Nowadays its artistic director is Olga Rostropovich, daughter of Galina Vishnevskaya and her husband Mstislav Rostropovich, great cellist and conductor. Not only best young opera singers perform here, but also world music stars do; chamber and symphonic concerts, theatrical productions and musical festivals take place here. You can see what is on the program here http://opera-centre.ru/theatre. Unfortunately “booking tickets online” is available in Russian only. If you need help, you can contact us at and we can book a ticket for you. These are two major concert halls for symphonic music in Moscow. Both feature excellent acoustics, impressive interior, various repertoire and best performers. You can check the program here http://meloman.ru/calendar/. You need just to switch to English. Booking tickets online is available only for owners of Russian, Ukrainian and Belorussian phone numbers. If you need help, you can contact us and we can book a ticket for you. 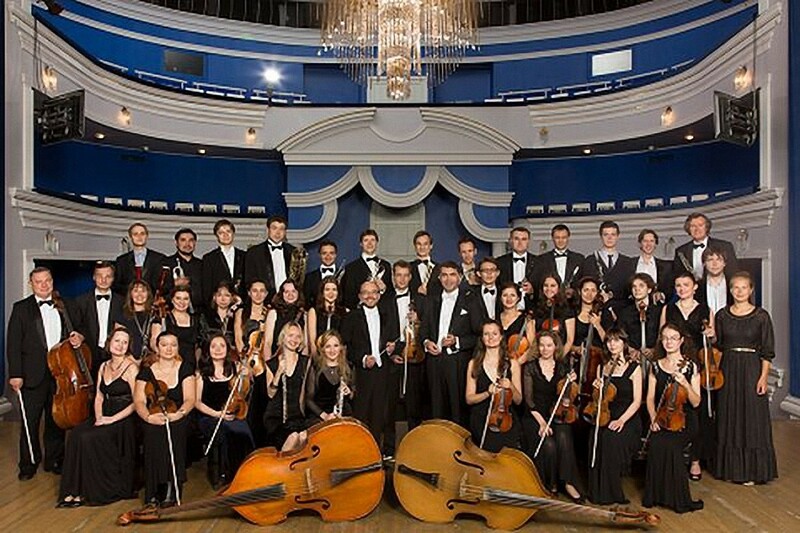 This modern and elegant concert hall houses performances of national and foreign symphony orchestras, chamber ensembles, solo instrumentalists, opera singers, ballet dancers, theatre companies, jazz bands, variety and traditional ensembles. Actually, it has three concert halls placed on three different levels and having separate entrances. The President of MIPAC is People’s Artist of the USSR Vladimir Spivakov, conductor of “Virtuosy Moskvy” orchestra. 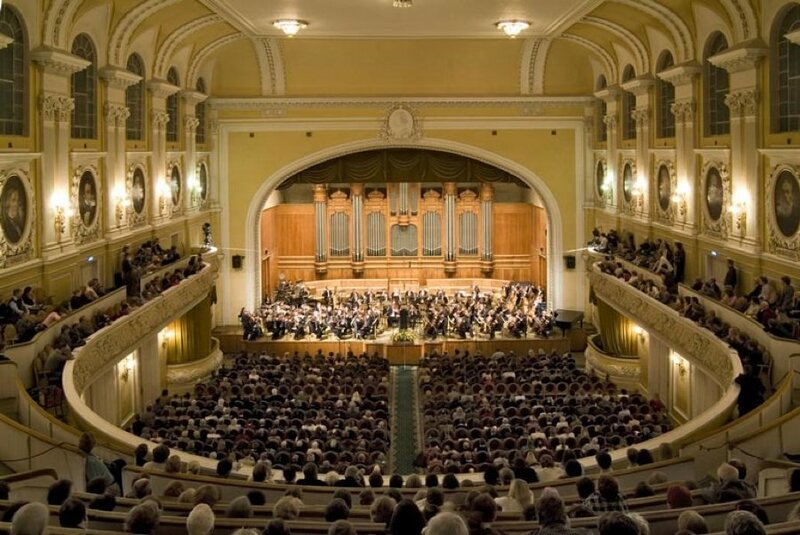 You can see pictures of the concert halls here http://www.mmdm.ru/en/content/halls. The program is impressive in its variety but is not translated into English. You can contact us at and we can find a performance for you.